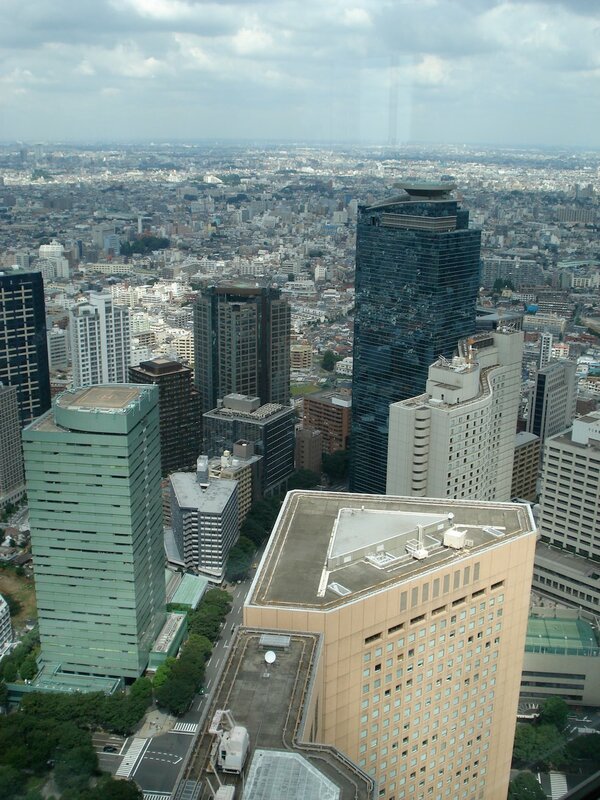 The two towers of the Tokyo Metropolitan Offices in Shinjuku both have observation floors that are open to the public. Each is a mirror image of the other and which you pick all depends on if you want to look north or south from the 45th floor. If you arrive on a day when one side is closed then you are saved from making that decision. The main No 1 building's twin north and south towers weigh in at an impressive 243 meters. 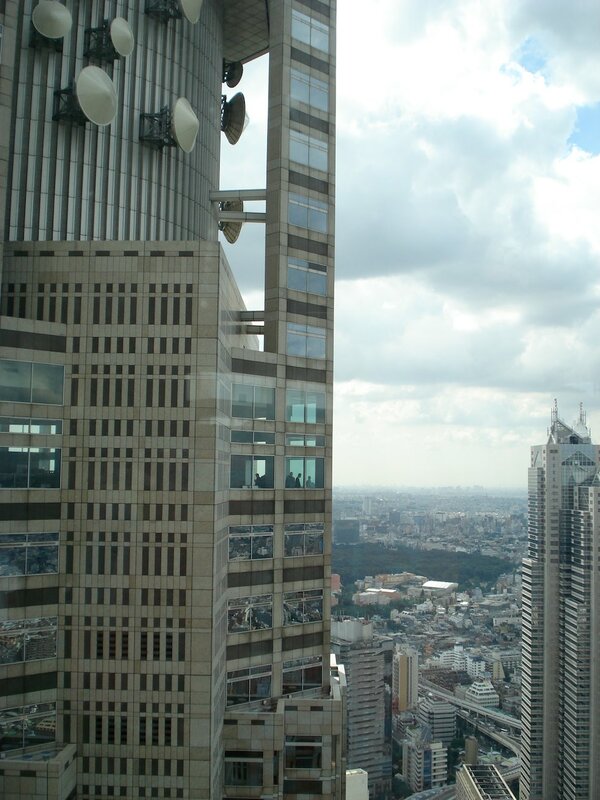 It was tallest building completed in the 1990s in Tokyo. The metropolitan buildings have won over most architect critics with their modern look and classic symmetry. 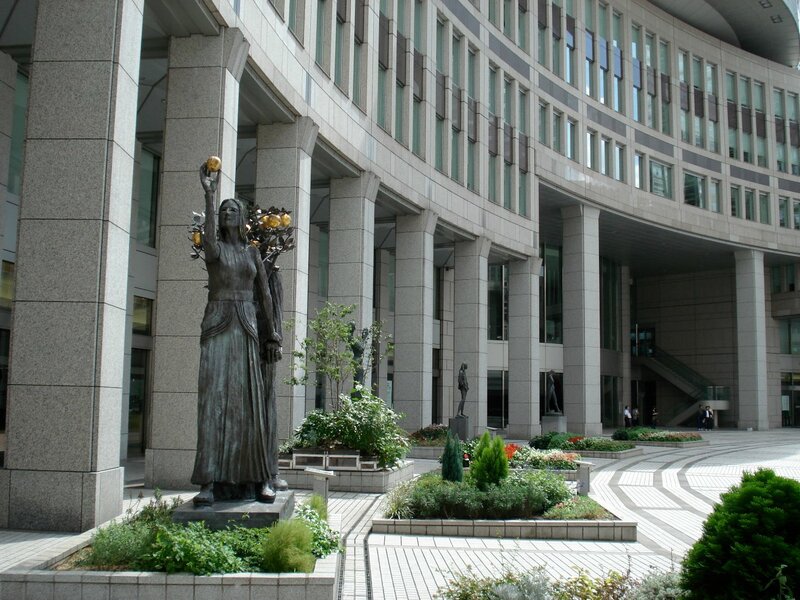 The building isn't as internationally famous as the Tokyo Tower or the Tokyo Skytree, but it is free and a chance to get a look at the center of Tokyo's government. 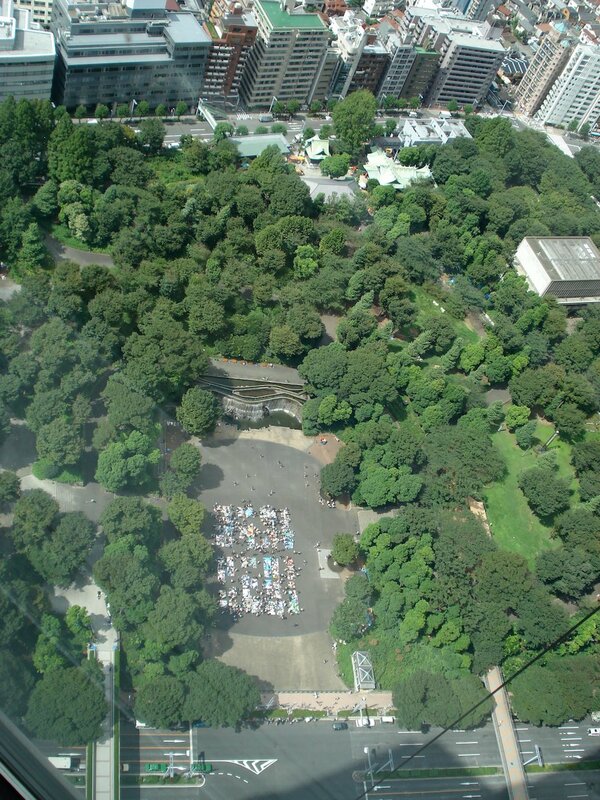 The view is quite impressive for the price. Free bag checks for dangerous goods are often given with every lift. Only the north tower is open until 23:00, but on days when it is closed the south tower is open till this time. Last entry is 30 minutes before closing time. The building is inspected yearly and both towers are closed on inspection day. The south tower is closed the first and third Tuesday. The north tower is close the second and fourth Monday. Both sides have gift shops with many of the standard Tokyo trinkets and gift items. Cafes are on both sides as well. Everything is open till the tower closes but last order is half an hour before closing time. 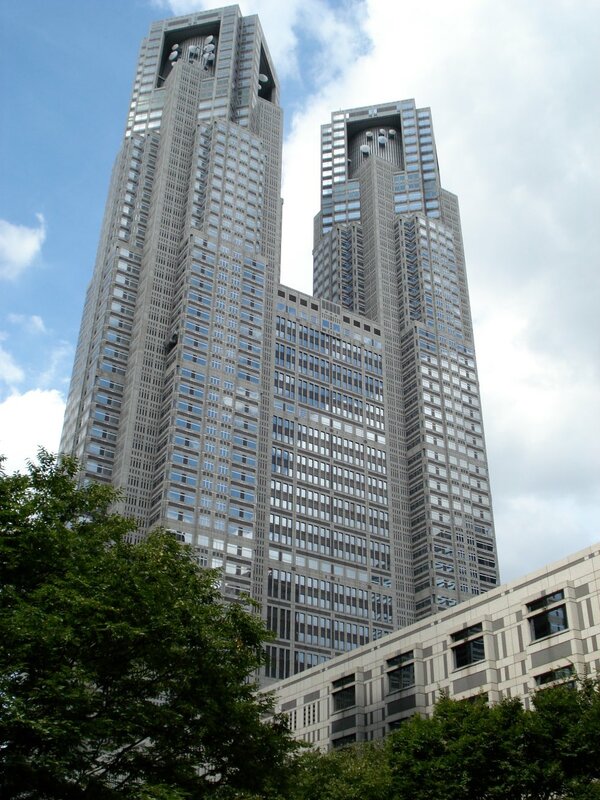 The Tokyo Metropolitan Offices were completed in December, 1990 and building 1 was briefly the tallest building in Japan. 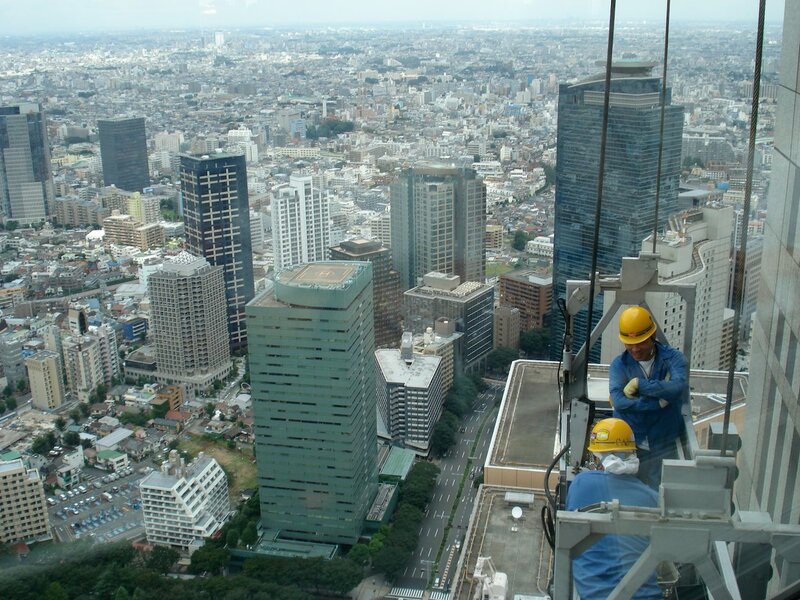 The Yokohama Landmark Tower (completed in 1993) took the crown and several other buildings have surpassed both. 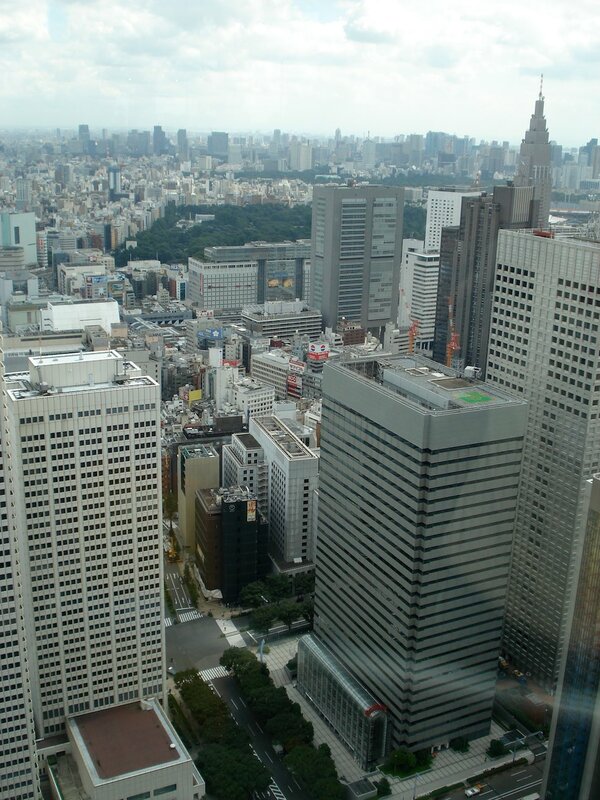 The Tokyo Metropolitan Offices are a 15 minute walk from JR Shinjuku Station. The west exit (north side) is closest to the offices and there is an underground passage that leads straight to the building from the station. To reach the elevators that go up to the towers, you enter through the Citizen's Plaza and walk into the rather dark and subterranean feeling 1st floor. 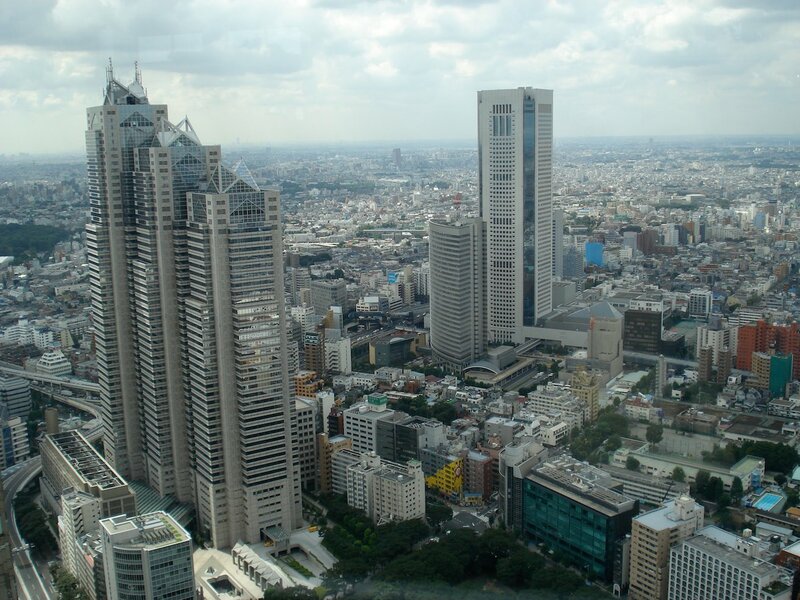 Shinjuku is serviced by a number of different train lines and stations. If you're coming by JR then both the Yamanote, Sobu and Chuo Lines stop here. 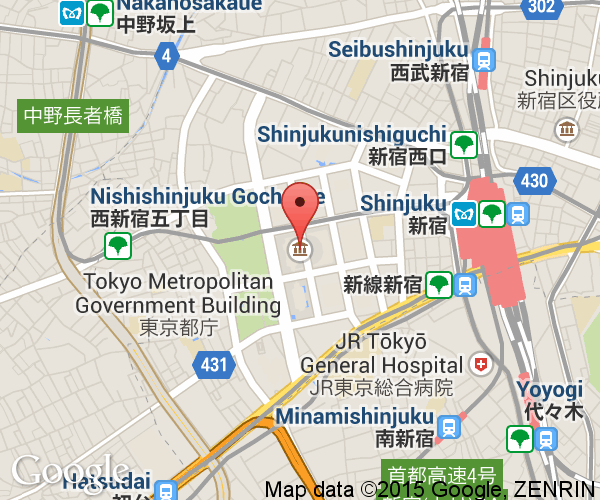 The Oedo (Ginza) and the Maru-no-uchi (Roppongi, Shiodome) subway lines also stop nearby JR's station. Keio and Odakyu trains terminate at their respective stations west of JR's but these are commuter train lines.